I’ve got a bug, and it’s the running bug. I have been home just for 5 days and I am itching to get back out and run again. I guess I am still riding the runners high even though I didn’t hit my goal of under 4 hours. I took 4 days off after the marathon, and I have felt so lazy this week. This morning was my first run since Chicago and it felt great. It was a nice pace of 8:20 for 3.1 miles. During my height of laziness this week, I decided to sign up for another race. I will be running the Veterans Half Marathon on Nov. 10 in Columbia City. I found a short training program that I will do since most of my training is already done so it will be a lot of easy runs with tempos and progression in the weeks to come. I almost clicked full marathon when I registered (it was only a $10 difference), but with too many unknowns with the weather in Indiana the first part of November, I figured half was a better choice. Who knows…if the weather is looking decent, I just might change my mind and upgrade myself. It would also depend on the amount of people running it. Last year, it only looked like 10 people ran the full and about 200 ran the half. I might just stick with that based on those numbers. One thing that I have really found is that I have found joy in running. I feel better when I am out early in the morning and get my day and blood going. I’m still torn on doing another marathon. In the end, I will probably do it again. 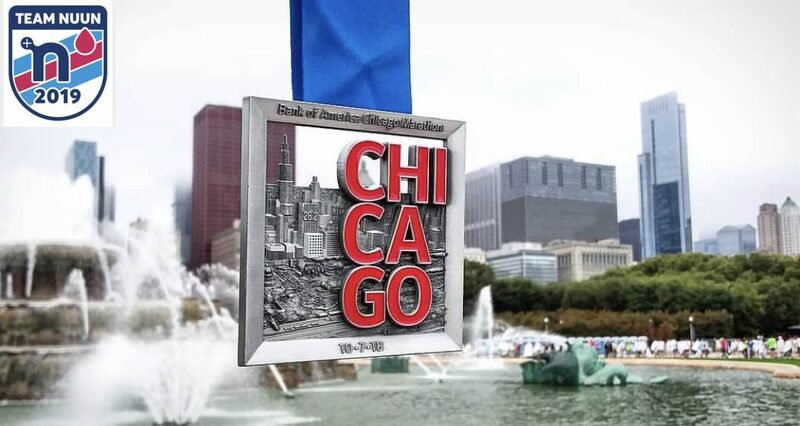 Coming around that final corner in Chicago was a rush that is hard to explain after pounding the pavement for 26 miles. Also, like I have said before, I am convinced that running the last 10 months or so has really helped out the Crohn’s. So back to the training boards again. Not sure what I will do come spring time, but I’m sure I will find a race or two that I will take part of.